“Rarrrrrrr!!!! Brush your teeth or I’ll bite you with my creepy human teeth!! 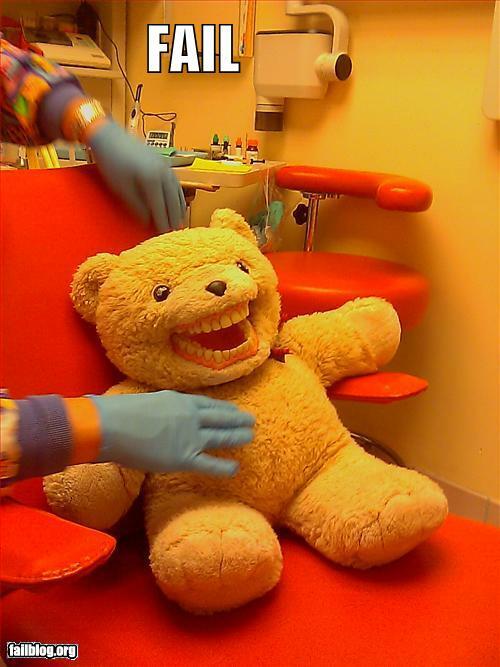 !” Parents, if your child screams in terror when you try to brush their teeth, you might want to look around your dentist’s office for this freaky little guy. We need to thank the Cheezburger Network for graciously allowing us use of this photo. Visit any of their dozens of websites for a good laugh. © Image property of the Cheezburger Network. All rights reserved.